Three years ago, my cousin Katie & her husband Jeff had their first son, Layne. 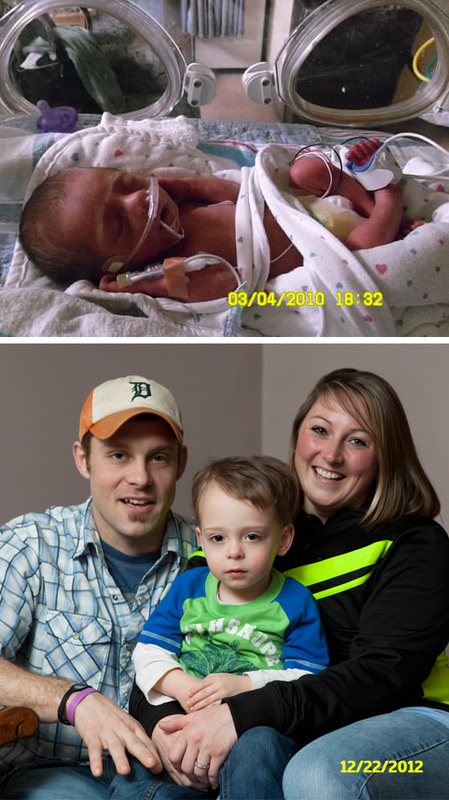 There was just one problem—Layne was born 10 weeks early. It was quite the surprise to everyone and he spent a lot of time in the hospital hooked up to all kinds of machines, literally fighting for life. "Through the advancements in technology and with the support of March of Dimes, March for Babies, our son was given the chance to survive and thrive," Katie says. "Three years later, Layne does not have any lasting effects from his premature birth and he is developmentally and cognitively on track for his age—and that's 'actual' not 'corrected'!" We think this is SUPER exciting! It was pretty scary in the beginning, but Layne is a little fighter and his whole crew helped him fight. When Layne gets older, I think he'll understand this a little more... Right now at the age of three, he's just really excited about monster trucks and especially Batman. When Chad and I had the opportunity to help Katie come up with the t-shirt design for her walking / fundraising team, we found it quite fitting to turn little Layne into a superhero, himself. I love the cartoon Layne that Chad illustrated—so cute! In honor of Layne and in support of all babies born prematurely, Katie and her family have made the "March for Babies" a family tradition. In 5 days, they will march for the third consecutive year in a 4-mile walk in their hometown (Jackson, MI) that will raise money to support research & programs that help moms have full-term pregnancies and babies begin healthy lives. 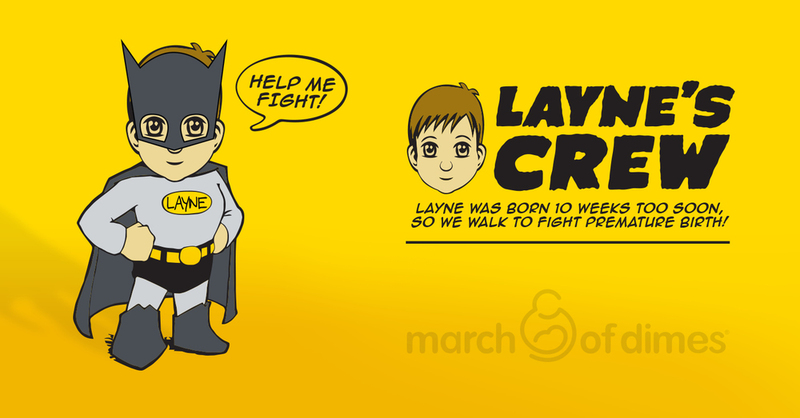 Will you help "Layne's Crew" fight premature birth?